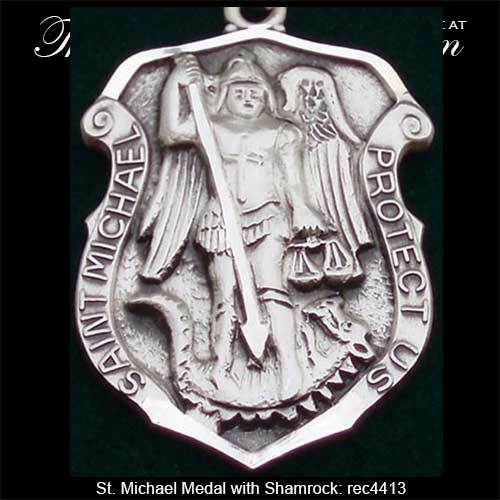 St. Michael Protect Us is embossed on this Irish saint medal. 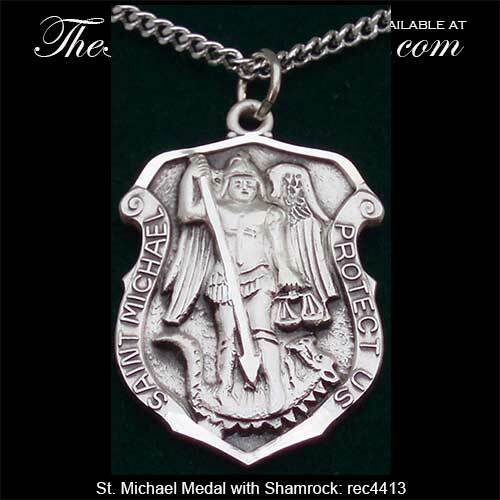 This sterling silver Irish saint medal features a detailed embossed depiction of St. Michael. 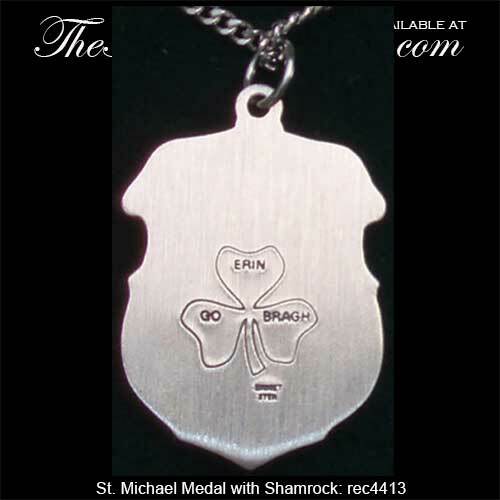 The heavy weight and dimensional pendant is in the shape of a law enforcement shield and it is enhanced on the reverse side with an engraved shamrock hallmark along with the Gaelic words Erin Go BraghIreland Forever. The patron saint of police officers and the military medal measures 3/4" wide x 1 1/4" tall, including the jump ring and the chain bail and it includes a heavy 24" long stainless steel chain.